The Problem of Evil has consistently been one of the most significant topics of discussion within the sphere of religion. For centuries, evidence vis-à-vis the relationship between the presence of evil in the world and the temperament of the divine have been used to argue against the existence of God. Do established reactions to this question really address the issue? Can the Problem of Evil be resolved at all? Process theology – a fairly new philosophy which embraces a naturalistic deity – might finally offer an amenable answer to this mystifying problem. This treatise will examine both traditional and common responses to the Problem of Evil and the proposed solution through a process perspective, arriving (hopefully) at a conclusion. Western Theology has long struggled with evil as one of the more mind boggling problems humanity has encountered. The problem arises from the apparent contradiction of an omnipotent and benevolent God who is coexistent with evil. The contradiction flows from the concept of an all-loving deity, who should perpetuate the absolution of evil, but instead allows it to stand toe-to-toe with Goodness. How does one reconcile belief in a God whose persona flows from love, while simultaneously allowing the existence of a darkness that permeates the human experience. Traditionally, Western thought has characterized this dilemma in one of two ways: the “free will defense” originally presented by Augustine or the rejection of its existence (evil) all together. Both provide insight into the Problem while presenting compelling and clever positions in their arguments. However, both fall short in that they have weaknesses that thwart their acceptance, thus perpetuating the debate of this age-old topic. The Free-Will Defense is the most commonly presented argument, attacking the premise that God doesn’t actually want to banish evil, even though it is believed he is capable of doing so. This argument lays the burden of evil firmly in the process of human immorality and God’s gift of freedom to them. In this defense, evil exists because God has endowed humanity the ability to make moral chooses freely, without His interference. Here, the Creator chooses not to step on mankind’s free will to prevent evil because he has voluntarily promised to surrender some of His authority to the world. This defense presumes that free will is of greater value to God than a world without evil, and based on this hypothesis, he would not want to prevent evil in the world. This response has several obvious weaknesses. First, it does not explain the existence of accepted evils (those that exist outside man’s active control like natural disasters or disease), which account for the majority of evil in the world. Another valid critique is the belief that free will is so wonderful that even the darkest of evils are worth its existence. While some may find this an acceptable assumption, I find it quite suspect. Another popular proposition concerning the Problem of Evil is simply to deny that genuine evil truly exists. The premise here is that we make a distinction between prima facie evil and genuine evil; the former being things that only appear evil (and therefore, are not truly evil in the greatest sense) and the latter being that which is deemed truly evil. Folks following this line of thought state that all evil is prima facie and actually perpetuate the greater good. God wills evil because he uses it to bring about changes that over time help mankind recognize evil as a necessary part of the human landscape. For example, a tornado that kills many people may appear evil, but might not be considered genuine evil because the survivors experience a growth in strength that outweighs the damages. Since genuine evil is nonexistent in this model, proponents suggest there is not really a “problem” of evil. It is important to note that another form of this defense involves redefining evil as simply the absence of goodness, making it not an issue but a logical necessity. This solution, too, suggests that evil is only a problem on a minute scale that simple minded humans cannot see past. This line of reasoning creates several problems. First, it marginalizes the outrage of evil (illusionary or not) by implying that it must exist in order for humanity to understand goodness. While this might seem satisfying on the surface, on a deeper level it is not; most Holocaust victims would not find comfort in the idea that such a horrible event was for some greater purpose in God’s divine plan. It is especially problematic because it creates the impression that God is a cruel god; what kind of Deity would require something like genocide to attain a greater purpose? If genocide was the only rational methodology for achieving both God’s will (and I challenge this premise itself) and some greater purpose for humanity, why would such an omnipotent being knowing what the future holds, bother creating humanity in the first place? Opponents of this argument cede that it would be better to just skip creating man in order to avoid such an enormous risk in the first place. Any argument allowing for an omnipresent creator who lives on the outside looking in, while jumping in on a whim is also problematic in this discussion. Why would God choose to jump in and save some people and not others? Is this merely a case of mankind’s limited insight into the fabric of time? If so, why would an all-knowing God create a world in which the lives of horrible people hold more value in the end than those who were just and ethical? Is more value to be found in God’s keeping Hitler healthy than there would have been if he had jumped in and stricken him with a fatal illness? Another response to the Problem of Evil is the rejection of the Judeo-Christian concept of God altogether. This leads the responder to either find a home in another faith or in atheism. While this argument is obviously not a traditional religious response, it is commonly used by a large contingent of atheists as the primary source of their non-belief. Deists’, supposing this was the best possible world He could create, point to the traditional idea of God as flawed. Ironically, this premise holds some weight, for if He truly wants mankind to come to know Him, why has He created a system that makes belief in his existence so difficult. Embracing this argument can explain why so many people find not believing in God so palatable. If this is so then God has failed in objectifying his Divine design. Where does this leave us? Must we choose between weak apologetic answers and atheism? I think not; there is another option for those grappling with the manifold issues of Evil and a loving deity – a promising response, at that. Process theology, a philosophy redefining the way we see nature, religion and science, offers a much more fulfilling answer than any of the options previously discussed. So, what is this new approach? Simply put, it is a philosophical model that offers a new way of viewing the world from a landscape of change. It is a world of process. The universe is constantly changing, growing; every moment is a step toward a new moment. Reality is the linking of interdependent events, a series of ongoing experiences. How does this relate to the Problem of Evil? Process theology presents a whole new way of looking at God. This system of thought is complicated and diverse, but I will attempt to touch on the primary points of this new philosophy. The main objective is its placement of God as a naturalistic deity, rather than as a supernatural one. Instead of working outside the system of nature, God is a part of it (this is different than pantheism which says the system is God). Within this model of thought, God is in process (as is the world), as He actively experiences the world through the sharing of our experiences with us, influencing us as we influence Him. This naturalistic notion of God binds Him within the constraints of nature; here God cannot defy natural law, since he is part of the world. God, like the rest of the universe, is bound by nature, time and change (however, His change is not in his nature itself). Just as traditional thinkers are comfortable binding God to logic (He cannot create a square circle), Process thinkers are comfortable binding God to nature. This process God does not possess omnipotence in the traditional sense. His power is not to coerce but persuade, utilizing nature as his drawing board. Unlike our traditional conception of God, He cannot override free will; it is not that He won’t but rather that He can’t. Unlike humans, God does not have arms to reach out and alter reality; instead, He must use His skills of persuasion to change the natural world through things that have a capacity to do so. Here, he can simply lay out the possibilities and try to draw humanityl toward the righteous option, the one that most realizes His will. In this respect, Jewish author Harold Kushner likens God to fire; “That’s why, so often in the Bible God is portrayed by fire – at the Burning Bush, in the Eternal Flame before the Ark, etc. Fire is not an object: fire is a process, the process by which the latent energy in a lump of coal or a piece of wood is turned into actual energy. God is like fire, liberating the potential energy in each of us”. It can be pointed out that using traditional theology, the Process concept of God appears to be significantly weaker, maybe not even truly omnipotent. 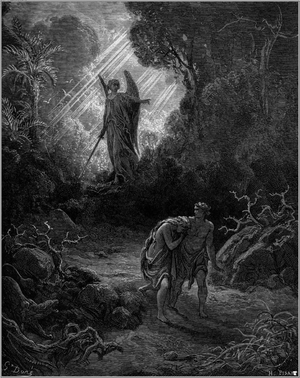 However, it is much more accurate to say that Process Theology has a different definition of “omnipotence.” As David Ray Griffin puts it, “God is all-powerful – not only in the sense of being the supreme power of the universe but also in the sense of being perfect in power, having all the power one being could possibly have”. The key is the phrase “having all the power one could possibly have”; this excludes the ability to foresee the future (the future being, by definition, unknown) and other supernatural functions which traditional religion often attributes God the power to do. God is still omnipotent; He just works within a different framework in this model of thought. An important question: does this limited power make God unworthy of worship? Process theologians are quick to say No! Why is this? It’s because power is not the defining characteristic in determining admiration, and certainly not human existence. C. Robert Mesle, a Christian process theologian writes, “Is it the power to lift rocks that earns worship? Is it the power or love of God that leads you to love God, to worship God, to be willing to commit your life to God’s service?” From a religious perspective, the true reason God is deserving of worship is His infinite love (Mesle 14). So it is no wonder that process theology – which assumes that infinite love and infinite power are mutually exclusive in light of evil – suggests that limiting God’s power is far more reflecting of a God we should worship than limiting his love? So why did God create a world in which he had such limited control? The process answer would be that it was the only kind of world He could create. Here it should be noted that process theologians also reject the popular concept that God created the world out of complete nothingness (also called creation ex nihilo). In process thought, God created the world out of chaos – near nothingness – and established order. Mainstream religion has God creating the world out of absolute nothingness, while implying that all metaphysical and natural principles are the result of God’s will. Therefore, the existence of evil in the traditional model requires that it was created by God as God willed. However, from the process perspective, God created it out of something. Because something (as limited though it was) already existed, God had to work within principles that already existed, establishing order and injecting novelty. Part of this included the possibility for good and the potential for evil. This means that God did not will the potential for evil; the potential was part of the basic existing chaos that He created from. Where does the Problem of Evil fit into all of this? As one may have already guessed, process theologians point to the premise that an omnipotent God is incapable of removing evil from the world. With a newfound definition of omnipotence in this model and the assertion of creation from chaos (and subsequent rejection of creation ex nihilo), it becomes clear that the presence of evil is not inconsistent with God. Evil exists because it must exist; in order for the world to have choices to make, there must always be the potential for evil, just as there must always be the potential for good. God is not capable of destroying or preventing evil in the traditional supernatural sense, though He can use humanity as a team in fighting it. Nor is God responsible for the creation of evil. Instead of banishing the evil from afar, God works within the system, persuading the universe to step away from evil. Does the argument offered by process theology adequately solve the Problem of Evil? I believe yes. Not only does it remove the responsibility of evil from God, it creates the ability to restore faith to those who have struggled with the problem of reconciling evil’s existence with God’s love. Those who subscribe to process thought can rest assured that God is with them through evil, as he suffers with the world. There God acts, silently beckoning the world to move away from the darkness of evil toward His will for us.